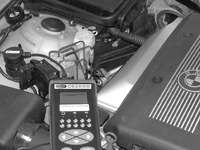 At Priory Motors we realise that to keep a vehicle in excellent working order, carrying out routine servicing is a must, especially when service intervals and engine performances have been increased. So when your vehicle comes into our workshop you can relax knowing that your vehicle will be serviced according to manufacturers specification, including the correct parts and oils that are needed. As you will probably know any vehicle still under manufacturers warranties can be serviced at ANY VAT registered garage and still maintain its warranty. The days of having to take your car to a main agent are history. Whether your vehicle requires a bulb or an Inspection II service, we at Priory Motors will deal with your needs quickly and competently.